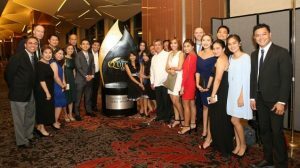 Shell Philippines Exploration B.V. (SPEX) and the Malampaya Gas Project’s social arm, Malampaya Foundation, Inc. (MFI), were recognised for their outstanding programmes in the recently concluded IABC (International Association of Business Communicators) Philippine Quill Awards 2015 at Marriott Grand Ballroom, Pasay. The Access to Energy (A2E) Project, the Integrated Support to Indigenous Peoples (ISIP) programme, and the Shoreline Communities Onwards to Resiliency (SHORE) programme were lauded with Awards of Merit. Access to Energy Project is aimed at small, off-grid communities that would benefit from energy to support their livelihood, health, and education. 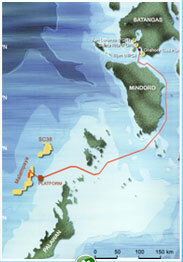 For its pilot project implemented last year, Shell Philippines chose the indigenous Batak tribe of Sitio Kalakuasan in Puerto Princesa, Palawan. Shell harnessed freely available renewable natural resources of sunlight and river water to power a Pico Runoff River Hydro facility backed up by solar panels and rechargeable solar batteries, providing the community with 24/7 access to clean and sustainable energy. Access to Energy was also recognised at the 2015 Anvil Awards and the Shell CEO’s HSSE and SP (Chief Executive Officer’s Health, Safety, Security, Environment and Social Performance) Awards. MFI also received an accolade for its SHORE programme, which aims to supplement and train coastal community residents and local government units on how to properly prepare, assess, and respond to natural disasters. To date, 2,562 individuals throughout 139 target coastal communities are now better equipped to respond to natural disasters and augment the limited capabilities of national government agencies. ISIP, spearheaded by Pilipinas Shell Foundation Inc. (PSFI), aims to give the indigenous tribes of Palawan, who also form part of the impact areas of Malampaya, the tools, knowledge, and implements to become self-sufficient communities. Poverty as well as food and health issues became the groundwork in PSFI’s implementation of the programme. Among those who received the awards for the programmes are Upstream Social Performance Manager Sankie Simbulan, Upstream External Relations Manager Paulo Gavino, PSPC CFO Jeng Pascual, PSFI Executive Director Edgardo Veron Cruz, PSFI Programme Manager Aquino Veran, PSFI Programme Officer Yoyon Rebueno, and PSFI Project Officer Edong Magpayo. Also present in behalf of MFI are Batangas Manager Tony Reyes, Community Development Officer Tatum Manabat, Program Officer Belina Montalbo. 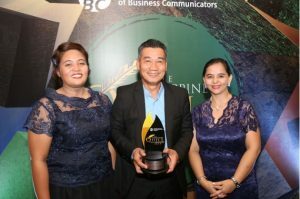 The IABC Philippine Quill Awards is a premier annual recognition programme established by the International Association of Business Communicators that honours strategic and excellent materials and campaigns in the field of business communications.